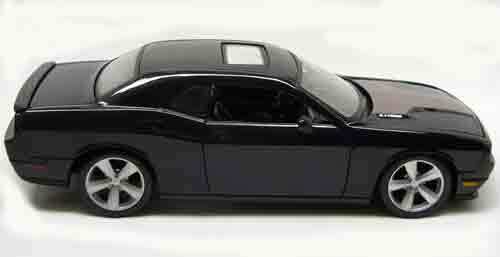 Wow, check out this new 2008 Dodge Challenger by Maisto. The doors open to reveal a black interior is lovingly detailed. The front wheels turn to the left and right. This model is free wheeling and has black tires and chrome wheels. = 8” Long x 3.25” Wide x 2.5” high. = The shipping weight is1.1 lbs.